This 5 DVD set features Burton Richardson, founder of Jeet Kune Do Unlimited teaching a blend of No Holds Barred and Street tactics. In it, you'll learn realistic street self-defense and how to become a well-rounded fighter who can transition seamlessly from standing to clinch to ground and back to your feet. Burton covers ways to incorporate street specific fighting tactics, such as using the wall, and including escapes as an important transition in your game. He also covers the 3 Ranges & 9 Transitions, and an entirely new way of organizing the training methods, techniques, and tactics. Each DVD 60 minutes. 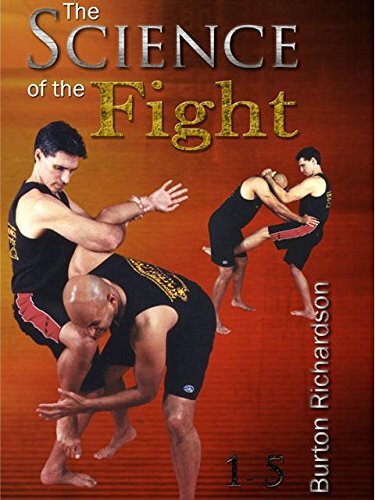 Burton Richardson was elected Self Defense Instructor of the year by Black Belt Magazine and he was inducted into their hall of fame.Originally from Los Angeles, he currently lives in Hawaii and teaches group classes in Honolulu when he is not traveling the world teaching seminars.